There’s no getting around it, the way we work and communicate with our clients and colleagues is changing. We’re demanding more and more from the technology we use – from faster internet connections and smarter mobile phones to remote access to our data and the ability to join conferences or meetings on the go. 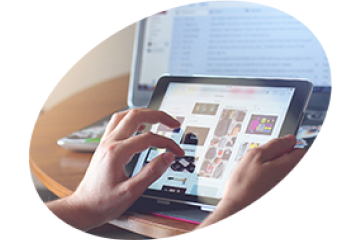 Triple Play (a unified communication system) radically simplifies solution identification and evaluation, delivers unmatched levels of customer choice and puts you in control from the very beginning. Perhaps your business has outgrown your current communication system and you need to empower and mobilise your workforce? Or has your system reached end of life and support? You can try the new Triple Play online tool here. Based on your inputs it highlights the Unify solution best suited to your business in 3 steps, and less than 3 minutes. 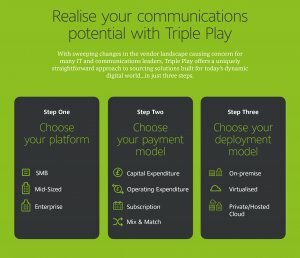 Alternatively please click here to find out more about Triple Play what it is and how it could benefit your business.